Keto Krate impressed me for the previous two months, so I was hoping the third time would continue to charm. 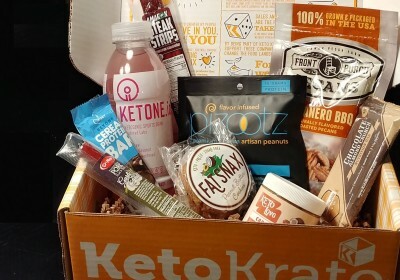 Due to some unforeseen circumstances, the July Keto Krate shipped and arrived later than usual, but I was very happy to see it nonetheless. 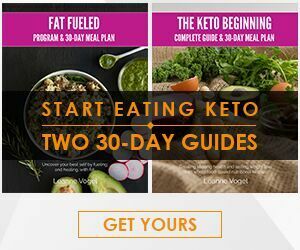 As a reminder, Keto Krate costs $34.95 per month plus a $4.95 shipping fee ($39.90 total), and promises 6-8 keto-friendly snacks per month plus $20+ in coupons and discounts in case you want to purchase more of the featured products. All products included are gluten free, aspartame/malitol free, and 5g net carbs or less per serving. In addition to supplementing ketones with Perfect Keto Base, I also regularly use a preworkout supplement that has a small amount of added BHB for enhanced energy and performance. 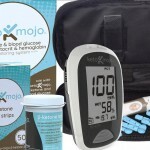 Because of that, the idea of taking ketones before or during exercise is something that I’m already familiar with, and I was excited to learn about another option on the market! Unlike the powders I normally use, this is a ready to drink beverage which might be more convenient for some. Ingredients-wise, it doesn’t contain many of the ingredients you might expect from an exercise-specific supplement (such as creatine, beta alanine, or even caffeine). Instead, the focus is on the ketones and electrolytes to keep you going through your workout or just a hectic day. 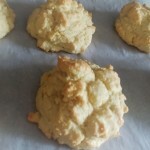 It is sweetened with stevia, and I found the flavor to be really tasty especially when ice cold! 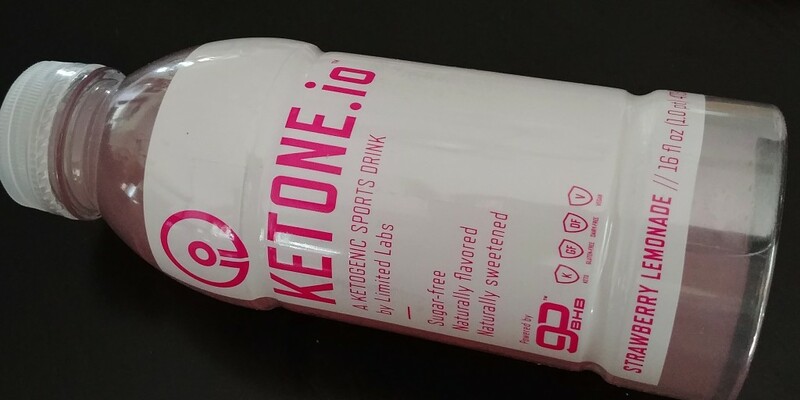 I enjoyed the energy boost that I’ve come to expect from ketones, although I did feel like I was missing a little of the extra “oomph” that more gym-specific supplements offer (and the convenience of being ready-to-drink makes it more expensive than my usual ketone supplement). After hitting the gym, I could not wait to dig in to these pecans! 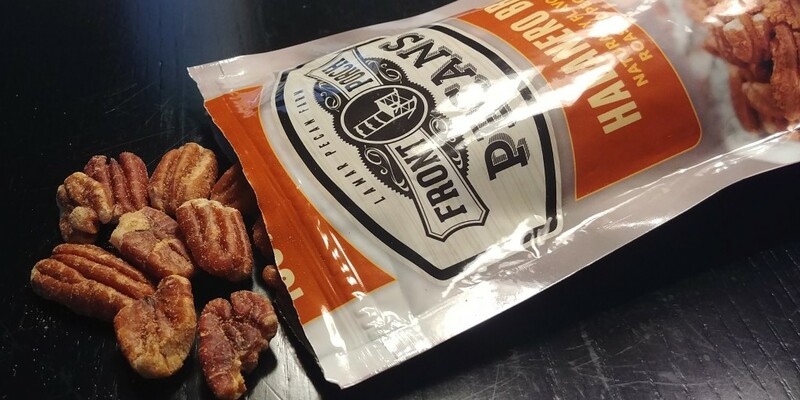 I discovered Front Porch Pecans in a previous keto subscription box and immediately fell in love. They are literally the best pecans I’ve ever tasted! I was a tiny bit hesitant about the habanero BBQ flavor selection, since I’m someone who doesn’t usually like “barbecue flavored” snacks, but the seasoning on these was perfect! A bit of smokiness, a bit of heat, but balanced enough that it doesn’t taste artificial or overpower the naturally delicious flavor of the expertly roasted pecans underneath. Best of all, pecans are one of the best nuts to enjoy on keto since they are lower in carbs and higher healthy fats (and crucial electrolytes) than many other options. 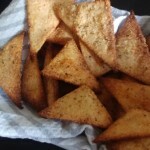 These got devoured! We got another flavored/specialty nut option to try in the July Keto Krate! This one was a Bay Spice flavored peanut snack from Pizootz. As you might expect from the flavor name, these peanuts are seasoned with celery salt and paprika, among other spices. This flavor maybe wouldn’t have been my first choice (baja taco might have won that honor), but they were tasty nonetheless! The branding describes these as “flavor infused” peanuts, and I definitely think that’s accurate. The flavor seems to be inside and out rather than just having seasoning coat the surface of the peanuts, which makes it different than a lot of other options out there. 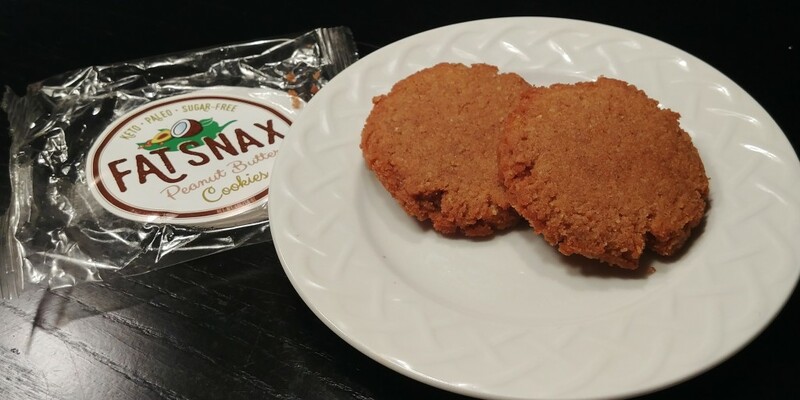 I’ve had these yummy low carb cookies from Fat Snax before, and after trying them again, I’m still a fan! 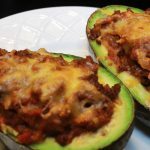 They have the perfect soft texture (not gritty or grainy like some low carb options can be) and a great balance of sweetness. The mix of erythritol and xylitol minimizes any chance of the aftertaste or cooling effect that some people are sensitive to. I do wish the peanut butter flavor was a bit stronger in these, but I will of course never complain about having a tasty, keto friendly dessert option available. I’m definitely dying to try the other flavors from this brand as well. 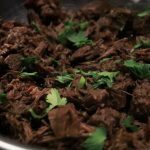 The macro and ingredient profile is also good for keto. There are no sugar alcohols, 16g of healthy fats from sources like coconut oil and almond butter, and plenty of fiber and protein for extra satiety. I love products like this that show keto can be both tasty and healthy. 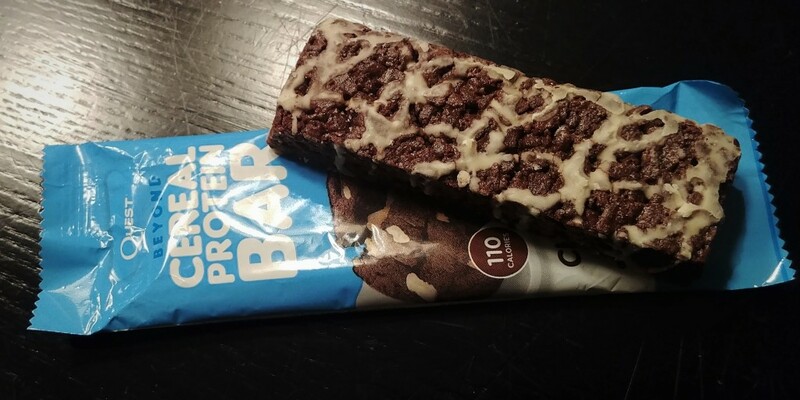 The chocolate flavor specifically has a nice, rich flavor which can make it feel like more of a treat or dessert than the breakfast-flavored options. 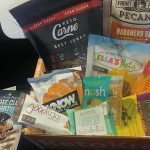 Jerky is a common inclusion in keto subscription boxes, and the July Keto Krate was no exception! 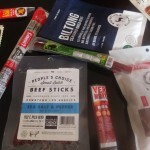 The first of two jerky-style snacks included was a Jalapeno flavored steak strip from Superpowered Nutrition. I thought this jerky had a really nice texture and moisture level, but I was craving a bit more heat from the jalapeno. The second was a pork snack stick from DiMario. Garlic and fennel is a pretty unique flavor combination for jerky, so I was really interested to try it. Overall I would say it had a nice flavor (though I wouldn’t have minded if it was a smidge stronger), and I definitely prefer the natural casing of this product to the plastic-y texture of some more common snack stick options. This was definitely one of my favorite discoveries from this box! 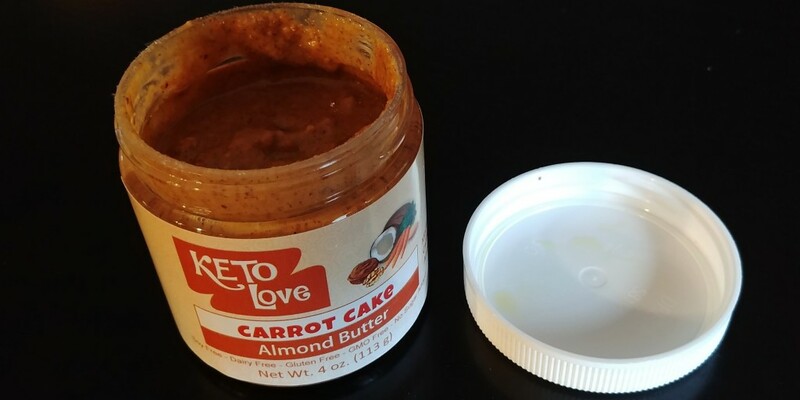 Unlike a lot of low carb “cake” flavored products which can be either totally underwhelming or overly sweet and artificial tasting, this flavored almond butter was actually reminiscent of carrot cake! It’s super tasty on its own, which is how I usually enjoy it, but also nice as a spread or topping. 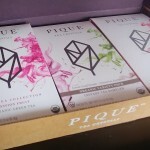 The ingredient list is nice and clean, so you don’t have to worry about sketchy additives or sweeteners, although you still want to be a little cautious. It tastes good enough that it can be easy to overdo it. Although tempting, the 210 calories (mostly from healthy fats) and 5g of carbs (from the nuts and carrots) per serving mean that you shouldn’t overindulge too much. 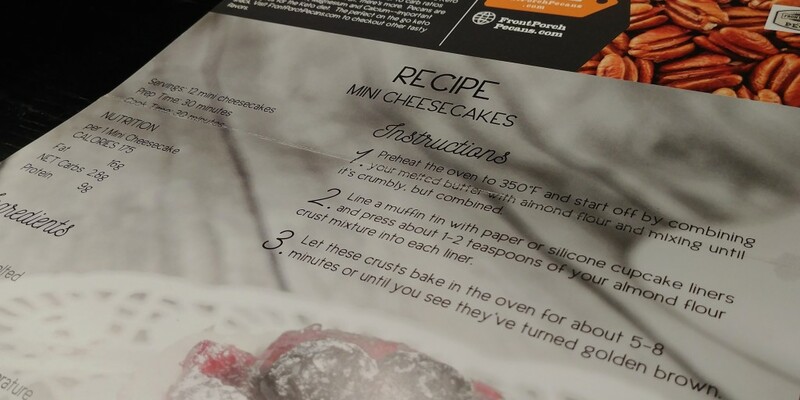 The box also included an illustrated, easy to follow recipe for low carb mini cheesecakes! 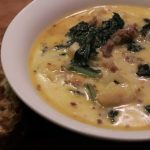 Despite the late arrival, I was super happy with this month’s Keto Krate! 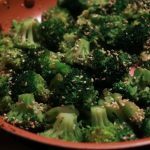 Unique, keto-friendly snack options are definitely the focus here, and with 9 items this month, Keto Krate definitely delivered on that! 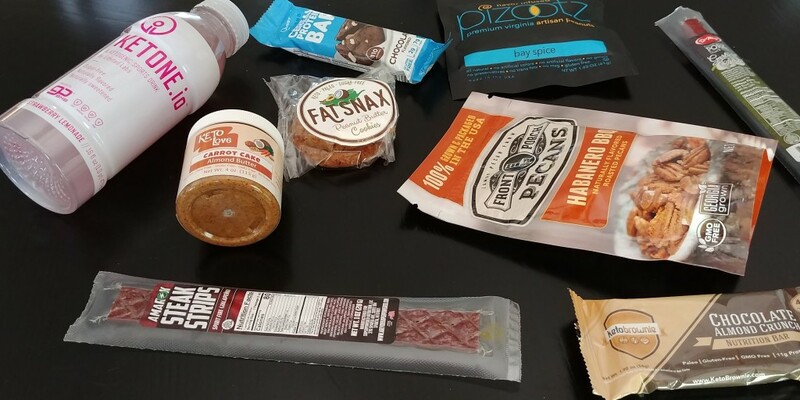 There was a good mix here as well, with traditional keto snacks like jerky and nuts alongside more specialty options like the Ketone.io sports drink and Keto Love flavored almond butter. Like last month, this month’s box had a good mix of sweet and savory snacks to choose from, which I appreciate. 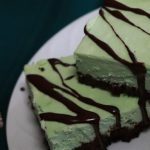 I also got some additional value out of the included keto cheesecake recipe, as well as the subscriber discount codes for the month! This was maybe my favorite Keto Krate since subscribing (view past reviews here). And if you’re a new subscriber, you can take advantage of the $5 discount offer when you sign up here.